SEO is one of the best ways to increase your traffic and get more clients for your practice. 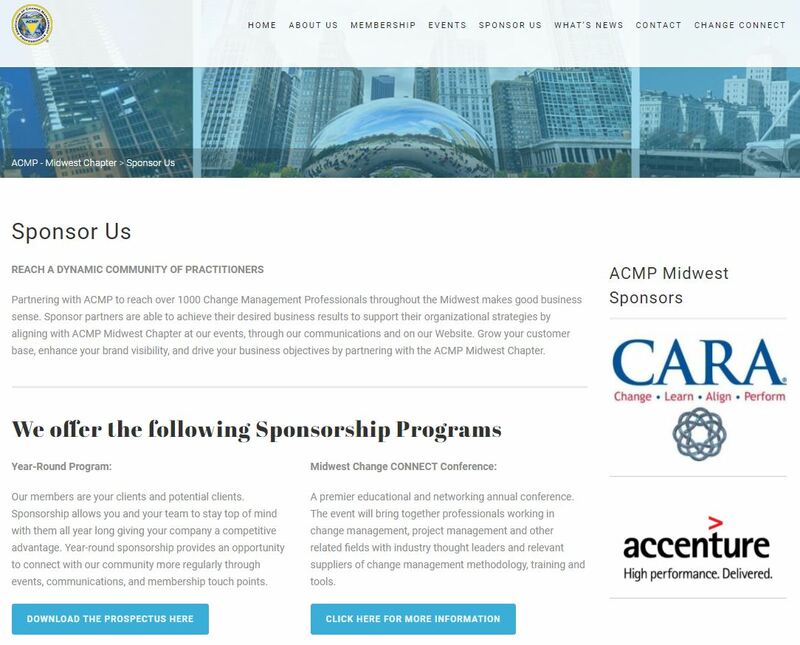 With the continuous advancements in technology and the internet, marketing is becoming a lot more diverse and there are newer ways to drive clients to your firm more effectively. We know where you’re at. You’ve probably been pitched SEO through the constant spam emails and phone calls nonstop by so called “SEO experts.” Or you might have been burned by those who promise huge results but only take your money. This is why our agency, CoFlex Marketing, made this huge (10,000+ word) SEO guide for attorneys. We want you to see how we do SEO. However, if you’re looking to hire an agency to work on your SEO instead, and don’t want to read through this guide below, then click here to schedule a free phone consultation with us, otherwise keep reading. Law firm SEO is a difficult process though and it requires a lot of skill and practice to get your law firm’s website ranking in search engines like Google. Google is the biggest search engine in the world and is one of the biggest companies. If you were to have your law firm’s website ranking at the top of Google for certain targeted search terms you could significantly grow your law firm’s business. As just mentioned, SEO is not exactly the easiest game to play and a lot of knowledge is needed before you can go in and supercharge your site, and this is the reason why we created this law firm SEO mega guide. This guide is designed specifically to help the lawyers and law firm staff who are struggling to get clients to their law firm or perhaps want to take their online presence to the next level. This is the ultimate guide if you are looking to DIY your SEO (or if you’re just curious how it works for law firms) and get your website ranking in Google so that you can get your phone ringing with new clients. There is a lot of information to cover and, as with most articles or guides on the internet, they are not always complete and you may still need to do some more in-depth research yourself after you’ve read this guide. Nonetheless, this guide will still provide you with some crucial points if you want to drive more traffic to your site and will act as a form of foundation. Read through it thoroughly and with this guide you’ll hopefully be crushing it in Google for your law firm. Note: If you’re looking to hire an expert to work on your law firm’s SEO and don’t want to read through this huge guide below, then click here to schedule a free phone consultation with us. Don't Want To Do SEO Yourself? If you’re looking to hire an expert to work on your law firm’s SEO and don’t want to read through this guide below, then click on the button to the right to schedule a free phone consultation with us. So Why SEO For Law Firms? What’s the Point? More exposure – One of the primary reasons for an SEO campaign is because it will drive more traffic (prospective clients) to your firm’s website through the increased exposure in Google. Google is an internet monster and receives billions of daily searches from all over the world and the majority of these searches are in relation to services and information. If you have that top spot in the search engine results pages (SERPs) you can really help your law firm. Research from recent studies has indicated that approximately 91% of searches do not search past the first page of Google and the first three results receive about 70% of the clicks on the first page. Having first-page rankings for certain keywords can be a life changer for your business and this is why law firm SEO is so important in the modern world of marketing. Targeted traffic – When people search a term on Google they are looking for something in particular. They already have a rough idea about the information they’re after and when they see a specific search result that fits what they need they will click on it. With SEO, you can target these search terms in your website and rank specifically for those terms which get you targeted traffic. Keyword research is a very important part of SEO as we will see later and that will determine whether or not you have a successful SEO campaign. Higher ROI – SEO takes a lot of work but it’s a very good long term strategy for law firms. While it’s a big investment up front with the amount of work, as you get ranking in Google and start generating leads it becomes less work to maintain. Even better is the fact that SEO can be cheaper if you decide to go the hard route and do it yourself – it just requires a lot of work and time which most lawyers don’t have so they hire experienced law firm SEO experts to handle it. If you did other advertising like pay-per-click ads then you will always be paying for them forever which is why SEO is a greater ROI. As you can see it is very important to have an SEO campaign for your law firm’s website and to get it ranking on Google. People use the internet all the time to research and find out about legal advice and this is only going to grow with the advancement of mobile technology. In fact, on average, about 31% of a law firm’s online traffic comes from mobile devices which demonstrates the importance for your law firm’s website to not only have a successful SEO campaign but to also make it mobile-friendly so people on their phones can view your website. Before you even try and rank your law firm website in the search engines you need to understand them and know the factors that contribute to rankings. It can also help to know the difference between some of the results you see when you search a law related term because there are different options to click on in terms of paid and organic traffic, as well as map listings which tend to be local businesses in within your current location. The best place to be in the SERPs is in the organic realm of results and the map listing. Paid results are good because they get you to the top quicker but they can rack up a very expensive bill especially in the legal niche. On the note of the legal niche, it is very competitive online (organic and paid listings). Some of the search terms you want to show up for in the paid ads section will cost you $30-$350 per click. And in the organic non-paid listings it’s even more competitive. These are the results that have been chosen by Google’s algorithm to show up for a search term underneath the ads. Google doesn’t charge you money for this like they do for their ads. The first page search results for a keyword show up because those ten websites answer the searcher’s question/statement. When a result is chosen by Google to be at the top of the first page search results it means that specific page has higher authority (explained later) and is more relevant to the search keywords that were typed in than the other listings below it. Google’s algorithm (and other search engines) pick certain websites to be at the top of search terms for a number of reasons and there are a lot of factors which contribute towards this prestigious position. Another section of results you can see in the SERPs when people are looking for law firms is map listings. These are results of businesses (like law firms) in the local area to the searcher. As you read further into this guide you’ll see that these map listings are easy to create and can help your law firm generate a lot of leads. We routinely see law firm’s who haven’t claimed or created their Google business map listing even though it’s free (they’re basically losing out on free money). Pay-per-click (PPC) is another form of results on a Google search page and it’s a way for webmasters to buy search traffic from Google by being placed on top of the search results quickly. As it was mentioned above, Google receives a lot of search traffic and Google knows that if someone were to get a first-page spot it could mean big money. PPC gives people the opportunity to buy a first-page spot through bidding for clicks. In the law niche, the prices get pretty high and sometimes ridiculous ($30 to $300+ per click!). The higher you bid for the search result the better chance you have at appearing in that number one position (along with several other factors like your ad quality score). You can see the paid results when you simply search a law firm term like “Chicago Personal Injury Lawyer”. They are above the organic results and are above the map listings as well. However, this guide is about law firm SEO and not PPC so this will not be covered. It should be noted though that PPC can be a good way of spending money if you need quicker results than SEO. It’s also a good way to test keywords to see which will perform better for your SEO campaign. Backlinks – These are the big cheese when it comes to rankings and they have been a big part of Google’s algorithm since the birth of the search engine. Backlinks from other authority websites give your website authority and Google will in turn rank you higher. Lots of things come into play with backlinks as we’ll talk about later, such as anchor text, authority metrics, spam, and relevance. Content – Content is king. This is a classic saying and it is true (to an extent), content is something that Google looks at and studies hard. Your law firm’s website needs to have some good, high-quality content on it to make it stand out from the rest of the law firms. Not only is high quality content good for SEO but also for your website visitors. Technical SEO – These are things like title tag optimization, page speed, mobile-friendliness, heading tags, etc.. There are a lot more ranking factors that influence the rankings of your law firm but these are the main ones. 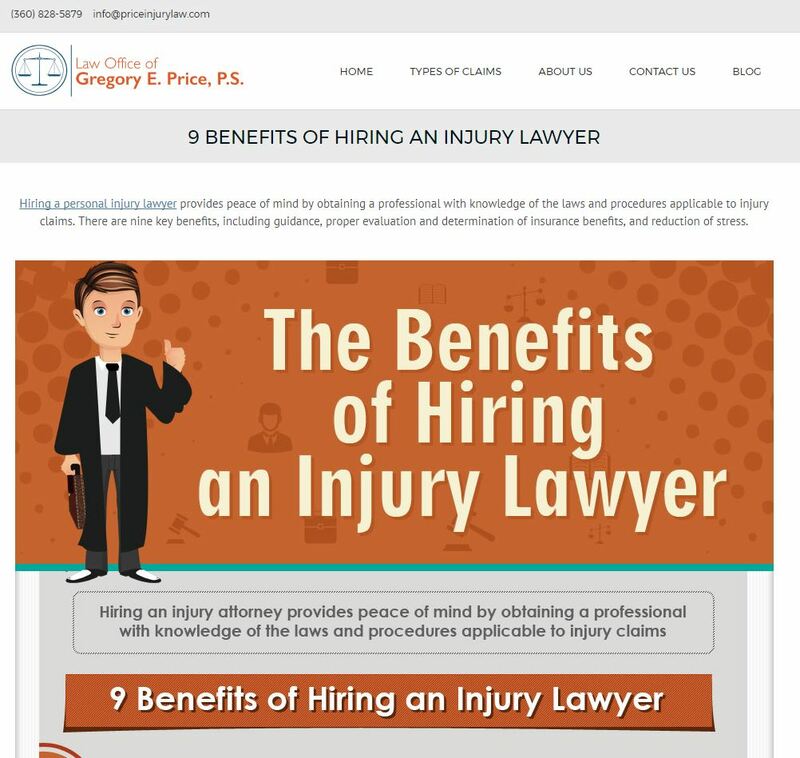 Why is Organic SEO Better Than PPC For Lawyers? There are a number of reasons that we recommend an SEO campaign rather than a PPC campaign and one of those reasons (as described above) is cost. Some of the keywords in the law niche can cost you $125+ per click and this is now seen as common for this industry. SEO takes the time but it offers more rewards in terms of long-term investment. If you need results immediately then yes PPC is better than SEO but in the long term SEO will bring you the bigger ROI. That’s not to say you shouldn’t do both, but if you had to pick one it should probably be SEO. Think if you pay an SEO expert a $4,000/month retainer and you’re getting 400 targeted visitors (who are searching for a lawyer) to your website every month. This would be a lot better of an investment than paying for the same traffic from Google AdWords (paid ads). The equivalent traffic for 400 visitors a month from Google paid ads would be over $30,000/month if the average cost-per-click is $70 (which is normal). In addition, organic results, in general, get more clicks than paid results – 90% of the clicks to be precise. Most people don’t like ads. People trust Google and trust the results it produces for searches and the searcher is usually more skeptical of the ads versus the organic non-paid listings below. We have spoken about Google a lot recently but what about Bing? Bing is the second biggest search engine (but only has about 10% market share compared to Google with 80%) and receives a decent amount of searches daily – 122 million to be precise. However, Bing’s SEO is a little different to Google because they do not place as much importance on the links pointing to your site. Recently, for example, Bing has been focusing on the anchor text (explained later) that points to your site. This is interesting because if you try to optimize for Bing you may get a penalty by Google because your Bing SEO may trigger Google’s Penguin algorithm which identifies and penalizes anchor text spam in your backlinks. In essence, Bing’s algorithms are different than Google so you might rank #1 on Google but be #35 on Bing or vice-versa. Bing is a great search engine to rank for, but this guide will focus solely on Google because it is more well-known and receives a lot more traffic making it the search engine you should focus on. 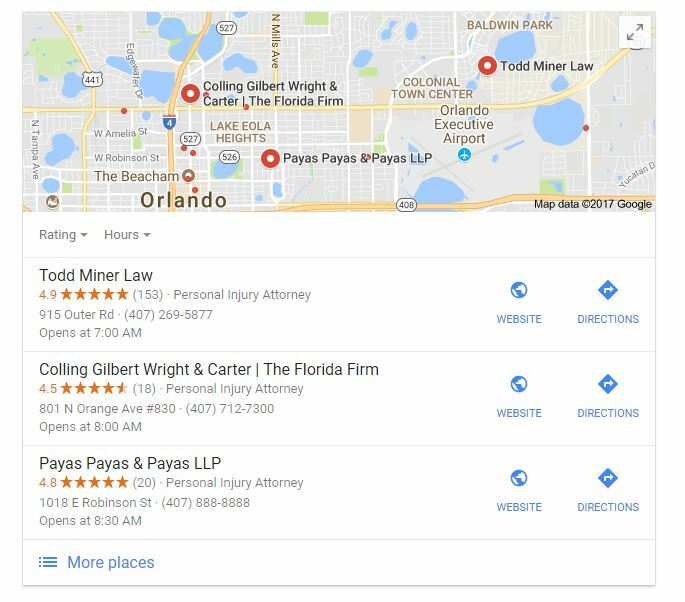 Google Map listings (also called Google My Business listings) are very important for local businesses like law firms because they show up in the Google search results above organic listings when people are searching for attorneys since those searches are local and not national. It requires little effort and optimization to your actual law firm website and more off-site work. If someone searches for “Plano Car Accident Lawyer” then the 3-pack listings will show up in the search results above the organic listings. When we say the “3-pack” we’re referring to the top three local listings that show in that maps box in Google. The process of claiming a Google Map Listing is often the thing that puts off many law firm owners because it can be confusing if you are not sure what you’re doing. It’s funny because the process is relatively easy and simply requires you to submit your site to Google Maps and wait until you receive a postcard to confirm your business. To help you add your business and start ranking in Google Maps here is a step-by-step process. Step One – Before you used to have to go to Google Places and add your business to the maps but Google has now integrated everything into a Google My Business Account which you can sign up for here. It is free to sign up and if you previously had a Google Places account chances are that all your business and firm information has been transferred over anyway. Step Two – Once you have added or found your business make sure all the information you add is correct and fill everything out as best as possible. Make sure to add your contact information, opening hours, pictures, videos, services offered, firm’s website address, etc. Step Three – Now you’re probably on the last step and need to save your information and confirm your listing. If you selected for postcard verification then Google will send a postcard to your firm’s address with a digit code which enables you to confirm your listing. Sometimes though you can verify your listing through other ways like email or phone verification. 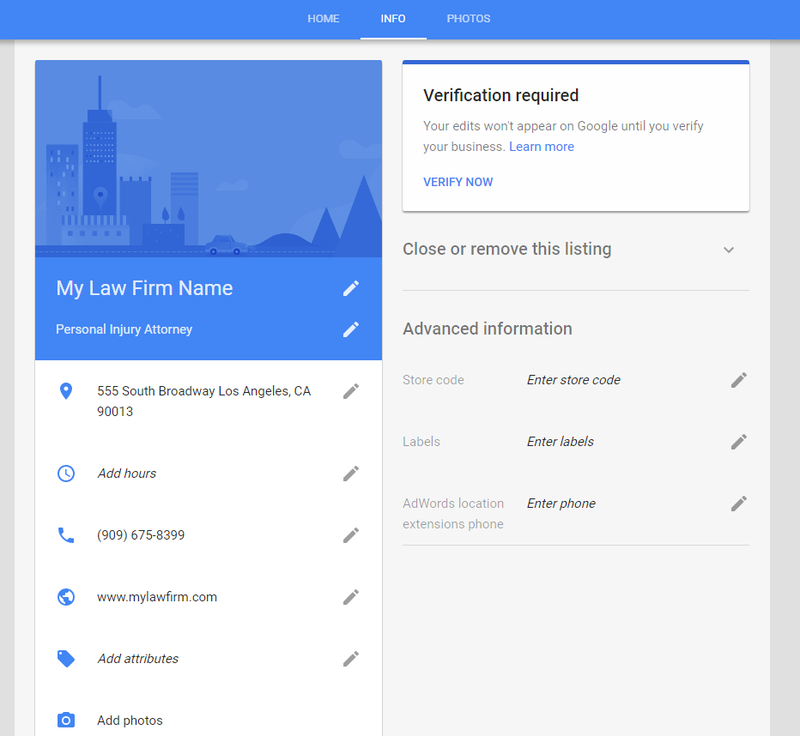 Step Four – Once you have set up your Google My Business listing you will need to finish adding any details of your law firm once you’re taken to your main Google My Business dashboard. Step Five – You should now double check your listing once you have completed all the above steps and take some time to explore the My Business dashboard and learn the ins and outs of the system. It might be confusing at first but it will be beneficial in the future to learn it when you need to update information like if you switch phone numbers, etc. Note: If you had to request a postcard instead of phone or email verification then your listing won’t go live right away until you verify it with the postcard code. Having a map listing is great but it can be pretty pointless if you are at the bottom of the pile and are not showing in the top three results in the local 3-pack. Luckily, this can be fixed with a little bit of optimization. There are a lot of ways you can optimize your maps listing and get higher map rankings for your law firm SEO campaign and also get more credibility with Google. 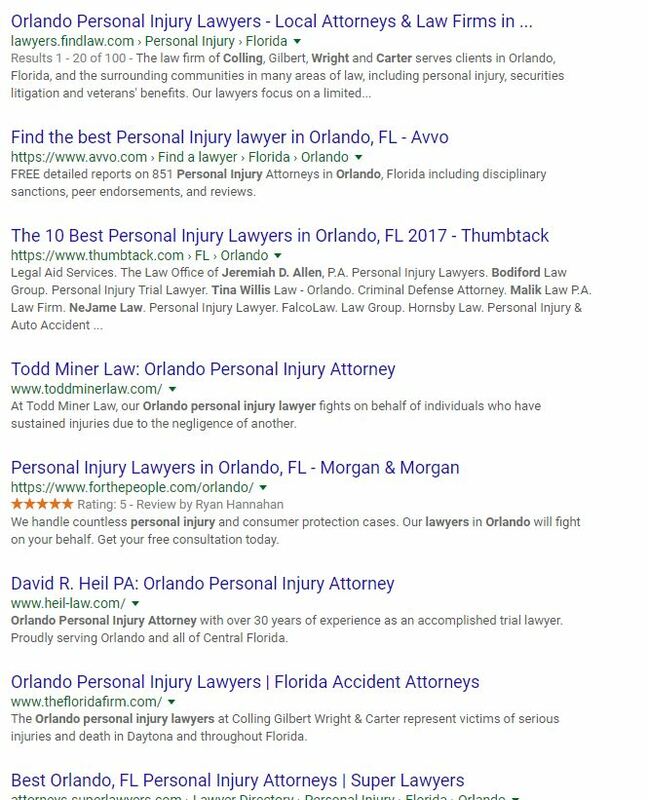 Being in those top three spots for searchers is crucial because not only will you be more visible to potential clients when they search for local attorneys but you’re also featured above the organic listings making you stand out. Creating citations – citations are a huge factor when it comes to Google map rankings. We’ll talk more about what citations are and how to create them a little bit later in this post. Essentially they contain your business name, address, and phone number (NAP) at the least. An example of a citation is a business listing on Yelp. Make sure your business name, address and phone number (NAP) are correct and consistent – this helps not only clients find you and contact you but more importantly helps improve your map listing ranking. This also means that you should keep your NAP consistent across the web (like on citations) because Google draws in information from around the internet related to your business and it’s important that it’s consistent. Choose the best category for your firm – this really helps out when people are searching for specific services and will help you in the long run. The more specific the category the better because it helps Google show your listing to more relevant searchers. Add photos to your listing – try and add a few high-resolution photos of your firm, staff and yourself to show people who you are and who they will be working with. Embed a Google Map on your website – this helps confirm with Google that your business is where your Google My Business listing says it is. Get 5-Star Reviews – this is one of the more important steps when optimizing your Maps Listing because Google puts weight on reviews. It is important that you ask your clients for reviews and to make sure they are positive. There are a number of ways you can ask for reviews which will be described below. Remind the client to leave a review following their case – After the client’s case is completed you should speak with them (either in person or on the phone) and let them know they will get an email with a link to post a review of your law firm (it may be good practice to ask for reviews from successful cases as opposed to bad ones). We highly recommend you use Grade Us for this. Follow up with the client – If you sent them an email asking for a review and they haven’t reviewed your law firm after two weeks, it’s a good idea to give them a follow-up email reminding them (but don’t be pushy). Follow the rules – Read through Google’s review policies here. In short, Google does not like reviews from in-store kiosks or reviews from the same IP address and those reviews will get flagged and removed. Also, don’t incentivize reviewers or post fake reviews. Showcase golden reviews – If you get a golden 5-star review on your law firm’s Google My Business listing you should be showcasing it on your firm’s website which helps conversion rates and building trust with other clients. 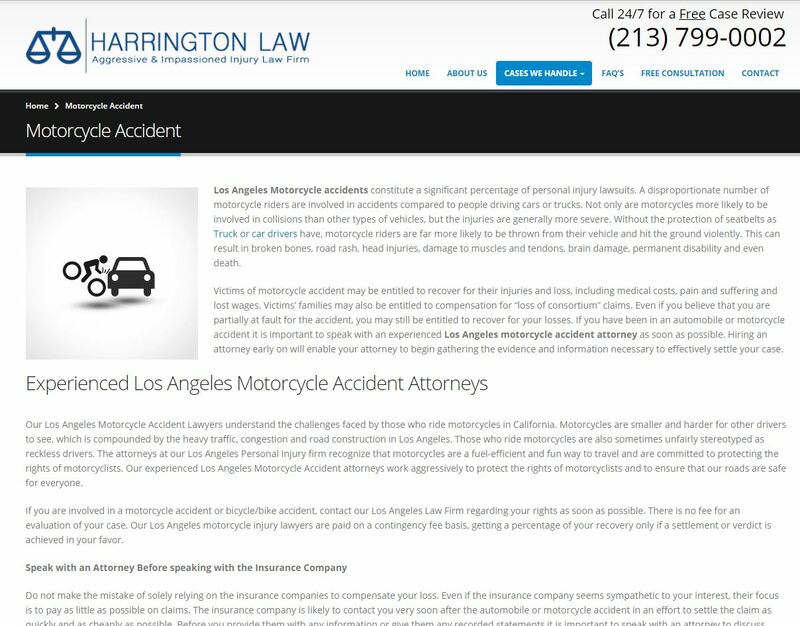 Create a separate section on your website for testimonials and reviews and make sure clients know that you can deliver a positive experience and win cases. If you follow all the steps above you will have a very well optimized Google My Business listing and should be ranking high in the map pack in no time. Remember that reviews not only affect your SEO and map listing but they also affect your trust and credibility online and offline. Reviews are social proof and they are a powerful way to get new clients (would you hire a lawyer with reviews or no reviews?). Never underestimate a good review. A huge ranking factor for law firms websites (and other local businesses) is citations. Google just loves citations as they confirm that you are a legitimate business who specializes in a specific category. Citations are essentially little snippets of your business and contact details on authority websites like Yelp, Yellowbook, Nolo, FindLaw, Avvo, Angie’s List, Justia, Facebook, etc. These citations contain critical details like your business name, address, and phone number (NAP) along with other things like your website link and a description of your business. There are a lot of places that you can get citations from credible and authority websites. 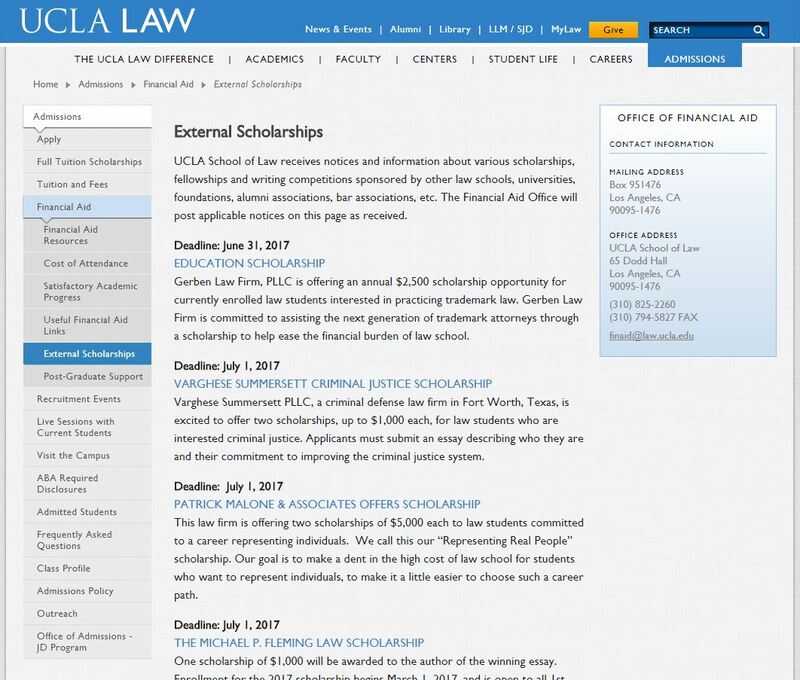 So, What’s So Great About Citations For Law Firms? Citations add relevancy, credibility, and context to your website and tell Google that you are a legit business and that you serve a certain area. Having a lot of citations around the internet confirms to Google that you are a real business and are exactly what you say you are. Google doesn’t want to be ranking websites that aren’t actual businesses so it relies on other websites to confirm whether or not businesses should be shown to searchers. Also, as we have already mentioned, SEO for local law firms is something that is very competitive online and citations help your website rank higher from other law firms who let’s say have almost no citations. Structured Citations – These are citations that you can get from online listings and directories like Yelp, Angie’s List, Avvo, Facebook, etc. All you have to do is create an account and fill out your business information on them. Unstructured Citations – These are citations that are a little different from your average listing like Yelp. They look different and are often in blog posts, press releases, news articles, and other places online. The one thing you have to remember when you are creating citations is that you need to make sure you are keeping your contact information/business information (NAP) consistent across the internet. If you don’t keep it consistent, Google might see the listings as different businesses. There are a lot of places you can find citations but it is better to give your law firm’s website relevance and authority. 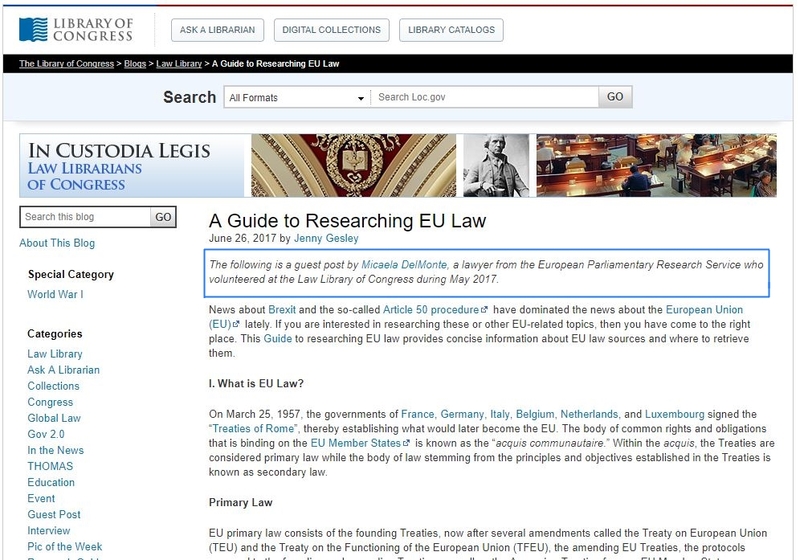 This can be done through creating citations from law-related citations listings (Avvo, Justia, FindLaw, etc.) and general citation listings (Yelp, Facebook, YellowBook, etc.). To help you out here is a list of law-related citation sites and a list of general high authority citations sites that you can use to get citations quick and easily. Keyword research is an overlooked aspect to SEO by a lot of law firms when they are performing SEO on their websites. Keyword research is the thing that will get you ranking and it’s almost like a foundation for ranking well. There are a number of tips you should follow when you do keyword research because the law niche is super competitive. You should be aiming for low competition, long-tail, local keywords that aren’t super competitive. 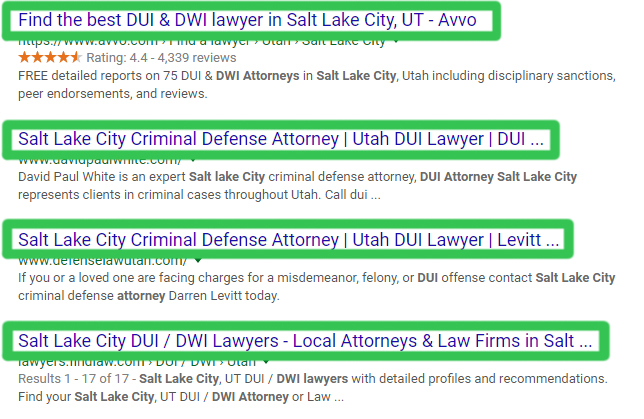 Keywords like “Salt Lake City Criminal Attorney” or “DUI Attorney Scottsdale Arizona” are better (while still very competitive) because they are practice specific and location specific. You’re not going to be ranking for the term “Lawyer”. Lower competition keywords are keywords that offer a good opportunity for law firms to rank their firms in Google. Targeting local keywords with town or city names in them is a great way to start (like the examples above) and there are a few steps to follow before you get started. What’s the farthest away you want to get new clients from? 5, 10, 20, 30 miles? Let’s say 10 miles for this example. This is just a general consensus but you can expand your reach to however far you want. Just be thinking about the distance a client will be willing to travel for your services. In most cases, obviously, they will want to deal with a localized attorney which doesn’t require them to travel a far distance, so 10 miles is generally a good place to start. Create a list of all the cities and areas within however many miles you decide from your office. You can use Google Maps to find all the city names around your office location. You should have a list like the one below. After you’ve got your list of every city around your office you need to create a list of practice areas your firm services. For example, for a personal injury law firm your main practice areas are usually going to be general personal injury, workers’ compensation, medical malpractice, and car accidents. Write those down like the list below and include the word “Lawyer” at the end of each one. 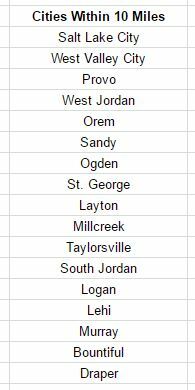 Once you have both of those lists (city names and the above list) you are going to want to create a third list both lists. This is something where you could have over 100 combinations so we’re going to use a tool to combine the lists. 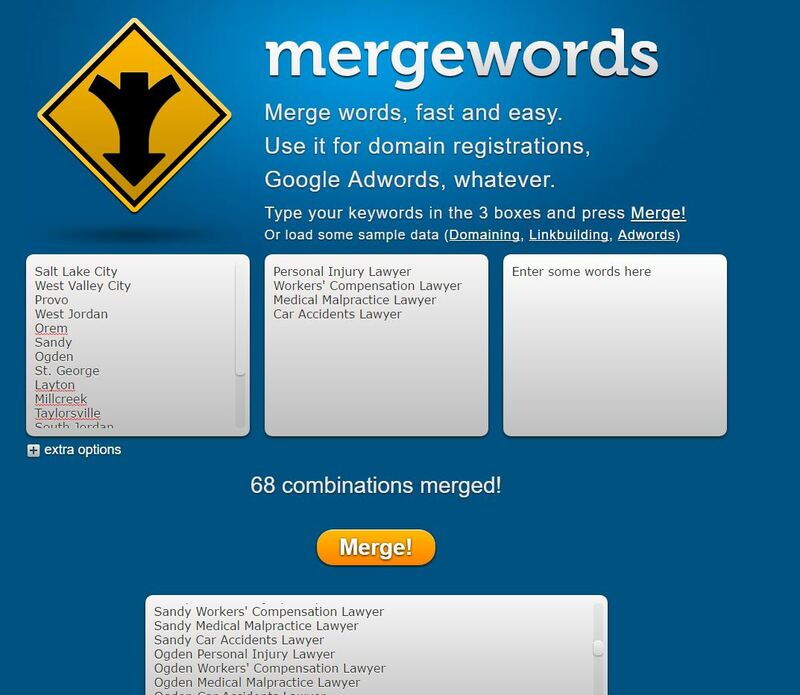 Go to the MergeWords tool and enter your two lists that you have. It will merge both to create a third list. Your list should now be composed of city name + practice area combinations. Something like “Chicago car accident lawyer” or “Chicago personal injury attorney”. It should look something like the one below. You’ll then use this list that you just generated to create service area pages (we’ll talk about this later). If you’re looking for an alternative way to think of long tail keywords (besides for the above method) a great tool to use is the Google Keywords Planner tool. It’s offered to people who have a Google AdWords account (you can create one for free). This tool gives you suggestions for keywords and a range of how many people search for that specific term a month. The tool used to give out the exact number of monthly searches for keywords but now you need to have an active AdWords campaign running which may be a pain for some law firms who do not use PPC already. It’s still a very good tool if you want ideas for new keywords. We’re not going to get into detail on how to use it but you can read through this guide if you need help. There is also a free/paid tool called KWFinder.io which is fantastic for finding keywords to target for law firms. It is similar to AdWords but shows the search volume and gives you an estimated competition difficulty score along with some other details. It’s a little bit more user friendly than Google AdWords Keyword Planner tool. This is one of our favorite keyword tools. A well structured website increases your law firm’s chances of ranking higher in Google’s search results. Some of the main benefits of good website structure are things like indexing, usability, and link power. One of the aspects related to website structure is URLs/domains. A domain is like your internet address and will help Google & your clients find you and identify your law firm. There is debate on whether you should have an exact match domain (EMD) like ChicagoPersonalInjuryLawyer.com which matches your keywords you want to rank for or whether you should have a branded domain that represents your law firm like JohnSmithLaw.com. In almost all instances we recommend that you choose a branded domain name because it helps clients identify you and looks more professional. Now a days EMD domains aren’t as powerful as they once used to be. It is also a good idea to keep your URLs clean and simple. A clean URL structure is something like JohnSmithLaw.com/About rather than JohnSmithLaw.com/Info/Lawyers/About-Our-Law-Firm/Description.html. Keep things short and sweet. When you set up your website make sure you assign a permalink structure in your settings so that your website doesn’t create any funky URLs. If your website is on WordPress, we recommend you choose the “post name” permalink structure in the settings. Setting up a good website hierarchy is important because it helps web crawlers crawl your website easier and improves your user’s experience. 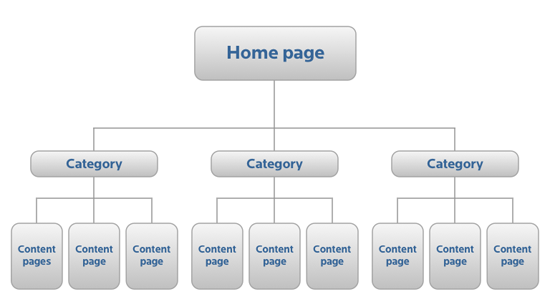 A hierarchy is just a way to organize your website information. Look at Amazon.com‘s website. They have a very well structured hierarchy and do a great job at making their website categories organized. Remember that when making a hierarchy you should make it logical and simple don’t complicate it. 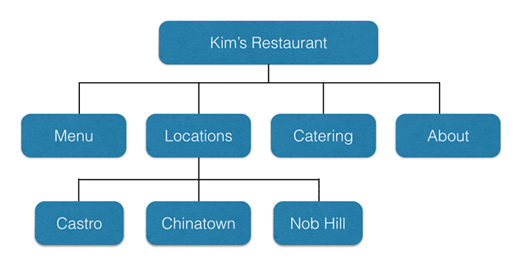 Below is an example of a website hierarchy. And a second example below where “Category” is a practice area and “Content Page” is the specific keyword related to that practice area. It is important to keep your site well structured and plan it out before you go ahead and start creating webpages randomly all over your website. If you have a good structured website then your chances of ranking higher will likely increase and it will make things a lot easier when your potential clients are navigating your site. We recommend planning out the hierarchy using something like a whiteboard or spreadsheet. One of the most important things to focus on in your SEO efforts is on-page SEO. This is a lot different than off-page because it involves no link building or anything that requires work outside of the website. On-page SEO refers to all the optimizations that stay on the website and includes a whole range of things. It is important to have your on-page SEO on-point before you start your off-page SEO (which we’ll talk about later). Below is an infographic from Brian Dean’s blog Backlinko. Read through it below and then we’ll go through some of the concepts in the infographic and explain them. Infographic Credit: Brian Dean of Backlinko.com. On-page SEO allows Google to read your website better and understand how to rank it. If you have a poor website with little content and poor written titles and optimization then you won’t rank where you want to be. Here we will talk about some of the on-site optimizations you can perform on your own law firm website that will help you rank. Remember, if your on-page SEO is poor then doing other things to try and rank your website is going to be useless. Sometimes you can solely rank a website with just good on-page SEO if you’re in a really non-competitive area. This is an overused phrase but it doesn’t mean that it’s false. Content is one of the most important aspects of SEO and you need to make sure that all of your content is unique and well written so don’t copy content from other websites. Google looks at website content because it wants to deliver its users the best experience and the right information. Google does this by crawling the page of content and identifying certain phrases and context of the page to see which questions it answers. The higher quality the content the better the result. When we talk about quality, we’re also referring to the length of content and spelling/grammar of it. 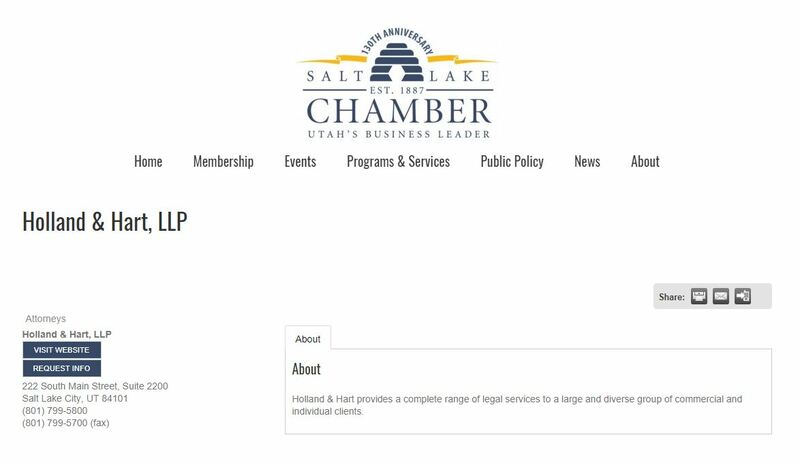 We recommend law firms write page content over 500 words for pages like “Salt Lake City DUI Attorney” which we call service pages (where you target a city and practice area). However sometimes Google is looking to see a lot more content than 500 words on a page depending on the search intention. For example, if you’re trying to target “Law Firm SEO” (like we are with this page) then Google tends to give priority to web pages like ours that have a lot of content on them because it can tell that the subject is extensive. But for most law firms their pages won’t go longer than 2000 words for any given page because Google knows that users who are looking for lawyers aren’t wanting to read 10,000 words of content since they are usually just looking to hire a lawyer. We want to reiterate the point of unique content to your site. Never spin or duplicate content from other websites. This may seem like a good idea at the start because it’s easier than hiring a writer or doing it yourself. However, Google is pretty smart and can recognize when something is spun or non-unique to your site. Not to mention that your website visitors probably don’t want to read crappy content. Keywords have been mentioned before and they are very important. Hopefully by now you’ve read through the above section about keyword research so you know what keywords you want to target. Your target keyword should be present throughout the page content naturally. We explain below how to do that. Page Title – Your page title should be something like “Salt Lake City, Utah DUI Lawyer | DUI Law Firm Utah”. Meta Description – Your meta description should be no more than roughly 155 characters and be something along the lines of: “Looking for a top rated DUI lawyer in Salt Lake City? Call our law firm at 222-222-2222 today to speak with an experienced DUI attorney”. Main Header – Your main header is your heading 1 tag. This should be similar to your page title and be something like “Salt Lake City DUI Defense”. Sub Headers – These are your heading 2, 3, 4, 5 tags in your content. You might have three heading 2 tags that are something related to your title like: “DUI Arrests”, “DUI Penalties”, and “DUI Consequences”. Body Paragraphs – Throughout your body content you want to have phrases that are related to your main title like “dui lawyer” and “Salt Lake City” and “DUI attorney in Salt Lake City” etc. Don’t overdo it but make it sound natural. Also make sure to put your main keyword towards the beginning of the first paragraph. Images – For every image make sure you give it a good relevant name like “DUILawFirm.jpg” and also add alt text to the image describing what that image is. You might also be wondering, how many times should my target keyword show up on the page? There’s no specific number of times or percentage that you should try to meet. Just put your focus keyword and synonyms of it in your content enough so that it sounds natural. There is always a little bit of debate about it though because it’s different for every keyword you try to rank for. The best way to find out an ideal percentage is to see what the websites on the first page for your keyword are doing by using a keyword density checker. The way that you structure your website has already been seen to be an important factor when it comes to ranking. Internal and external linking relate back to website structure and it is important to connect your content together (internal linking) as well as linking out to other high quality webpages (external linking). It’s good practice to link your website pages together to help pass link juice, giving each page some additional authority. A good rule of thumb is to internally link to pages that you want to rank. For example, if you have a divorce resources page you may want to link out to your service page called “Salt Lake City Divorce Lawyer”. Website visitors like reading more information about something you talk about briefly but don’t explain in-depth. Having outbound links on your webpages can help them rank higher. Having no outbound links could make your website look spammy. If you’re including pictures and videos on your websites (which is recommended) you will need to make sure that they are correctly optimized. This is something that many attorneys (and in general a lot of law firm SEO experts) miss out (or just ignore because it’s tedious) when they are performing SEO but it’s an important step. When you add pictures to your websites there are a number of things you need to do to them. First, optimize the image size so that it won’t slow down your website (which is a big ranking factor and user experience factor). This can be done through programs like Photoshop or by searching on Google “image compressor” or if your website is built on WordPress you can download a plugin called EWWW Image Optimizer. Second, you need to add alt text to the images describing what each image is. This will be the text that appears if the image fails to load for the client and also helps when Google crawls your page because it sees relevant images related to your page. Make sure you give the image a good relevant name too like “DUILawFirm.jpg”. If you’re also wanting to post videos on your law firm’s website (which we recommend) then you want to make sure you embed them onto your website. Upload them to YouTube and then get the embed code and paste it on your website. 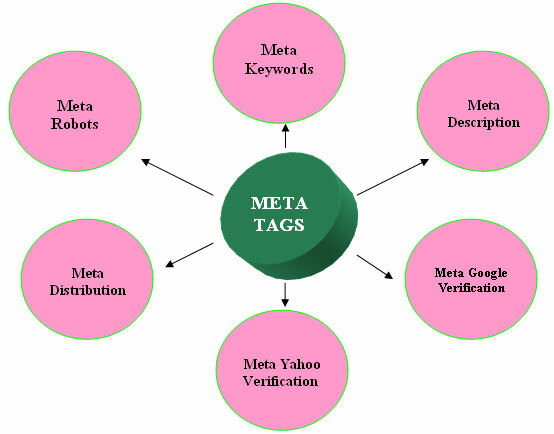 Optimizing all of your meta tags on your pages is critical (yet basic) for on-page SEO and it’s still an important factor in this day and age. Title Tag – The title tag defines what your web page is about. Make this clear but short, yet descriptive (it can be a challenge sometimes, we know). 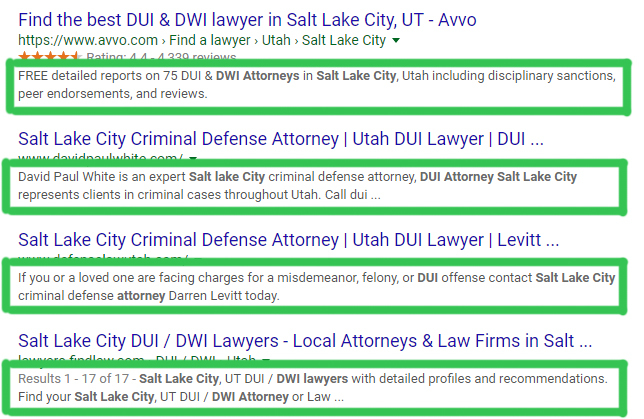 Your page title for your homepage might be something like “Salt Lake City, Utah DUI Lawyer | Your Law Firm Name”. Meta Description – Use this as a quick one or two sentence attention grabber. Don’t stuff it with keywords, instead, make the description look natural and enticing. Use a catchy description as this will improve your click-through rate (which will help you improve your ranking). Having a fast loading website is critical. Don’t just think about how it will affect your website ranking in Google. Think about how it will affect your website conversions from people on your website (or trying to access it). If your website takes any more than three seconds then you need to work on improving it. Not only will a fast loading website improve conversions but also help you rank better in Google. Run your website through Pingdom Speed Test to see how fast or slow your website is. The easiest way to improve a slow loading website is optimizing the images (which we did in the above steps, if you skipped that go back and do it). If that isn’t enough to speed up your website and you need to go behind that step then it will get a little bit more complicated. Now that you know the basics to optimizing a web page you need to start creating pages on your website if you don’t already have them. We’re going to focus on creating what we call service pages which are going to be based on the list we built earlier relating to practice areas and towns/cities. Unfortunately, you cannot rank your home page for every single term. We recommend you try and rank one city and/or county on your homepage and the rest on your individual service page. For example, let’s say you are a divorce lawyer in Salt Lake City but you also serve 10 miles around your office outside of Salt Lake City. You would target your homepage toward “Salt Lake City, UT Divorce Lawyer” and all your other individual pages (not homepage) would be targeting the other cities. Just a quick tip. For each page you create from your list that we made make sure you’re creating unique content (no copy/paste from other websites) on each page. The content should be unique otherwise you run the risk of Google penalizing you it and in the long run you want to play it safe. Other than that, follow our instructions above for how to structure your pages. Here is an example of what one of your service pages should look like (the example isn’t perfect but it’s a good start). If you are pumping out really informative and high-quality content on a regular basis, you will give yourself more opportunities to build links from other sites to your site. We call this link bait. Creating content that people really want to link to and not just any old boring piece of content that has been talked about 1000 times. It makes outreach much easier than trying to link directly to your service pages which aren’t as interesting. Most small business websites (especially law firms) once made aren’t going to be getting update constantly with new content and what not. When you have a blog you establish authority and provide relevant information not only to potential clients but also to Google (who loves fresh and unique content). You do not have to blog every day and night but we recommend that you blog at least once a week. It’s good to have a decent steady stream of new content on your blog. The choice is really up to you though. The easiest way to get ideas of what to blog about is to do some research into your competition or even the top results that Google brings up on your main keywords. If you’re really stuck and can’t come up with any new ideas then read and study the blogs of your competitors and write about similar things they write about. Do not copy them though! Use their topics as a point of reference and aim to write a higher quality and longer piece than them that benefits people more. A great piece of advice is to look at the comments on the blog and see what people are asking. From here, you can decipher what was missed out in the article and then add it to yours. This is also something you can use to get links. If you reach out to other websites that link to your competitor telling them you have a better article on the same topic they may decide to link to your article instead of your competitors. It’s a win-win. This will probably be the most important section in this article because link building is one of the most important parts of law firm SEO and is a huge deciding factor when it comes to ranking in competitive areas. SEO for law firms is so competitive that you need a solid strategy when it comes to building new links for your law firm’s website if you want to achieve big results. Google places a lot of emphasis on backlinks and it’s important to get relevant backlinks from authority law sites. Don’t worry, if you’re new to backlinks and SEO everything will be further explained below. A backlink is basically an incoming link from another website to yours. Backlinks are a huge factor when it comes to ranking in Google. A website with a lot of high quality and relevant backlinks is going (usually) to outrank another website with little backlinks that aren’t relevant. Link building used to be much easier in terms of quality and relevance but Google got smart and stopped this by improving their algorithms. These days, you need backlinks from authority sites related to your industry from high quality websites if you want to rank. And by authority sites, we mean sites that are already ranking high in the search results and have a high number of backlinks going to them. Remember, it’s quality over quantity when it comes to link building. Do-follow vs No-follow – There are two types of links. Do-follow and no-follow links. You want do-follow because they pass link juice to your website whereas no-follow doesn’t. Anchor text is important – This is the text that is hyperlinked back to your site that people click on. This is actually very important because it will determine the relevance of the page it’s pointing to and how Google should view that page in terms of ranking it. There are some general rules to follow when creating anchor text. Do not stuff your keyword into the anchor text too much because this will trigger a penalty. Use a mixture of branded, LSI, exact-match and naked anchor texts (read more about what this means here). 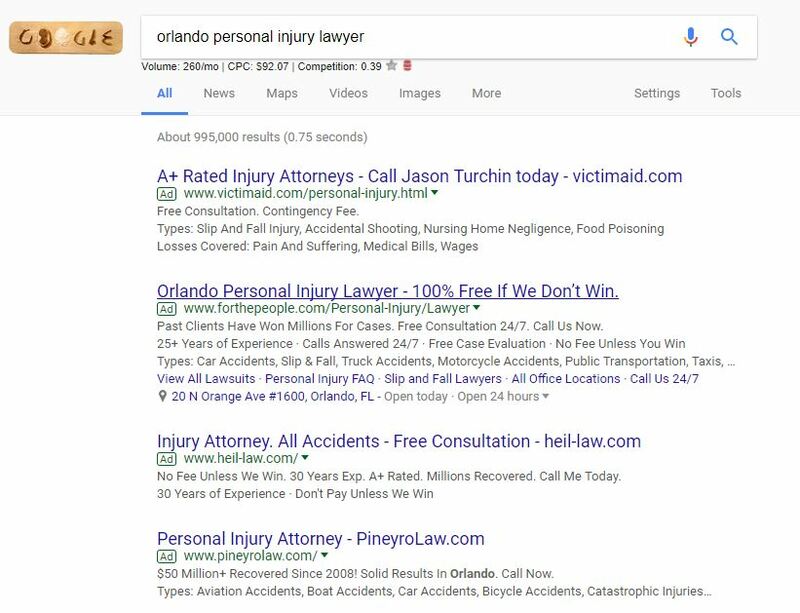 Basically when you create your backlinks don’t make the anchor text keyword rich like “Personal injury lawyer in Chicago” because it’s not natural. You want something natural like “guide to your legal rights” or “john smith law firm” for example. You can read more on anchor text here. Keep things relevant and on-topic – Google wants to keep everything relevant. You need to make sure that your backlinks are coming from sites in the legal industry. You need to make sure that your site is being filled with relevant links that help tell Google what your site is about and how it should be ranked. While backlinks from websites that aren’t related to law are fine and won’t hurt, it’s better to get relevant backlinks. Trust and authority are key – This has already been mentioned but you need to acquire backlinks from sites that are high in authority and trust (in Google’s eyes). These are websites that have a high number of backlinks themselves coming to their website and they are high quality and that have a large amount of website traffic each month. To find out if a website is trustworthy and authoritative you can use tools like Ahrefs or Majestic which will help give you an idea. 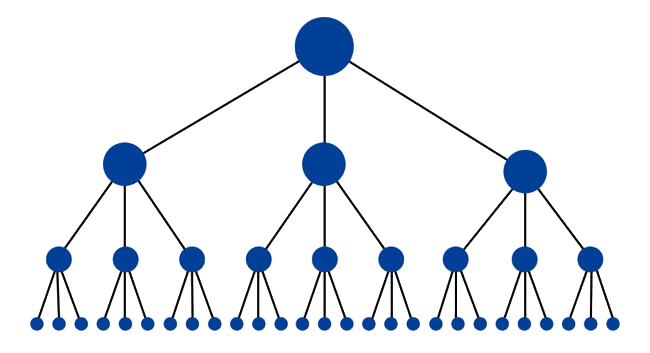 Never stop building – If you want to stay ranked you need to keep building backlinks. Just because you are at the top of the results page in Google for your money keywords doesn’t mean your work is done. Your competition isn’t going to stop working so you shouldn’t either. Also, don’t build links to your law firm’s website too quickly. Keep it natural. Manual Links – Manual links are ones that you manually go out and try to get but don’t have direct access to creating them. They are commonly associated with outreach tactics and blog posts (like guest posts). These links are normally from authority, relevant sites and can also include paid links. Natural Links – These are links that you have naturally picked up because you have some good content and its been linked to from other sites for the benefit of their readers. These are the best links in our opinion but they’re not easy to get especially for most small or medium law firms. Self-Created Links – These are the links that you make when you go out and have complete control like blog comments and forum signatures (which aren’t good tactics to build links). This also includes backlinks like profile and directories links. It is recommended that you avoid these methods and stick to the ones we will explain below. These are a bit more risky and don’t have as much value as natural and manual outreach links. However, not all are bad. Directory links from FindLaw or Justia are good but some other directories aren’t so it can be a little risky. Now we will get into the actual meat of the sandwich — link building strategies you should use to help your rankings in Google. These are six different ways to create backlinks below. There are many more ways but you can research those later if you want. Association Links – These are links from sites that shouldn’t be a problem getting if you’re a law firm. These could include things like Chamber of Commerce or bar association websites. If you are apart of these organizations then you should be able to create a profile and get a backlink from it. Guest Posts – Guest posts are a great way to build authority and involve writing some engaging content for another website in which you are the guest author. In return you’ll most likely get a link back to your website. If you use a Google advanced search and type in something like “legal + “guest post”” you should get some sites that will allow you to write for them in exchange for a link back to your site. Write all the content and make sure it is high quality. Guest posting is an excellent link building strategy. Directory Submissions – Try to avoid general directory submissions but niche-specific law directories are still a good way for getting links. Remember you don’t need to pay for directory listings. Some directories might be worth paying money for but for now we recommend you just stick to the free ones. 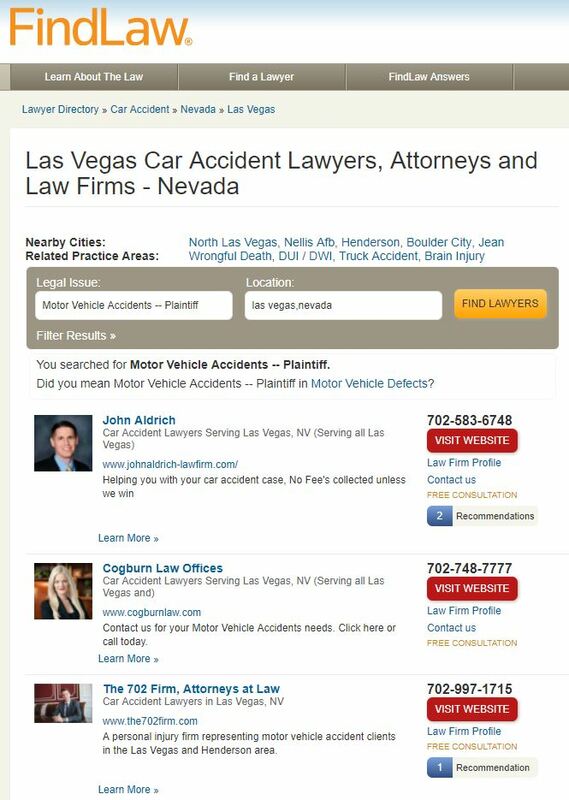 Make sure you’re getting listings from high quality law directories like Avvo, HG, FindLaw, Martindale, etc. Sites like Yellow Pages, Yelp, Angie’s list, etc. are also fine even though they’re not niche specific. Here’s a big list of law directory websites. Donation Links – These types of links could be built from sponsoring charity events, doing event sponsorships, donating to your law school, sponsoring a local organization, etc.. These types of links can get risky because technically they are paid and Google doesn’t like that. Scholarships – Scholarship campaigns are a great way to reach out and get links from some really high-quality education websites. Creating a scholarship program offers students free money to help out with their education and this can be advertised on a range of platforms including social media, local newspapers, and most importantly on college websites where you’ll most likely get a do-follow backlink. You can do email outreach to colleges and tell them that you are offering a scholarship to students and the college will usually be more than happy to help their students and they’ll list it on their website — giving you a backlink from a high powered educational website in the process. This strategy is starting to get saturated now a days so it can help to be different than the typical scholarship whether that means having a unique scholarship offer or a higher than usual amount of money. Link Bait Opportunities (infographics and outreach) – This goes back to the blogging section above. If you create very high-quality and engaging content either in the form of a blog post or an infographic then you can hopefully get natural backlinks to that piece of content although that can be hard. You could also do email outreach to other legal websites to try and get them to share it with their website readers. Make sure to explain why it will benefit their readers. It is very important to track and measure your law firm SEO campaign’s progress. A lot of people who do SEO have absolutely no clue how much SEO contributes to their law firm’s marketing success. It’s important to know where you are in the SERPs and to see how much traffic is being driven to your website as a result of SEO along with how many phone calls are being generated. There are a number of methods you can use to track your website and the most basic and effective way is to use Google Analytics. 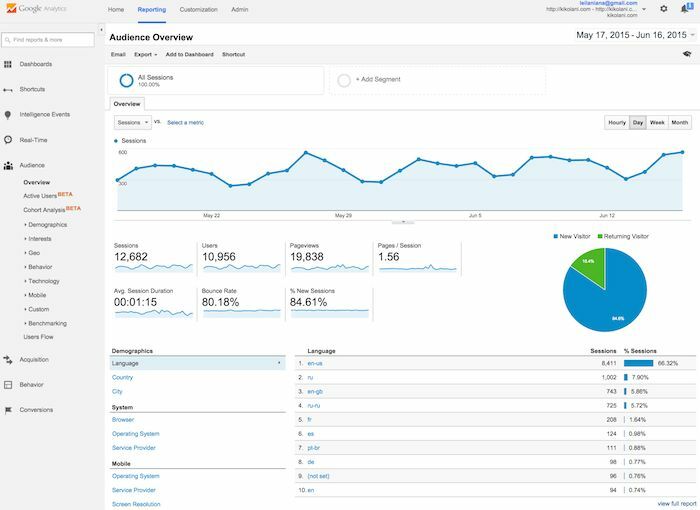 Google Analytics is a free software that Google allows webmasters to use to track lots of different aspects of their website. It is very easy to create an account and to link up your website. Just search for Google Analytics in Google and then create an account. After that, you need to add a tracking link to the header of your website. There are plenty of tutorials on the Internet to show you how to do this. Once you have completed that you’re pretty much good to go and will be able to see all the data and traffic going to and from your website. You will be able to check things like bounce rate and viewing time which is useful if you want to improve and tweak your content. You can also see from what places your traffic is coming from and how much is coming in. 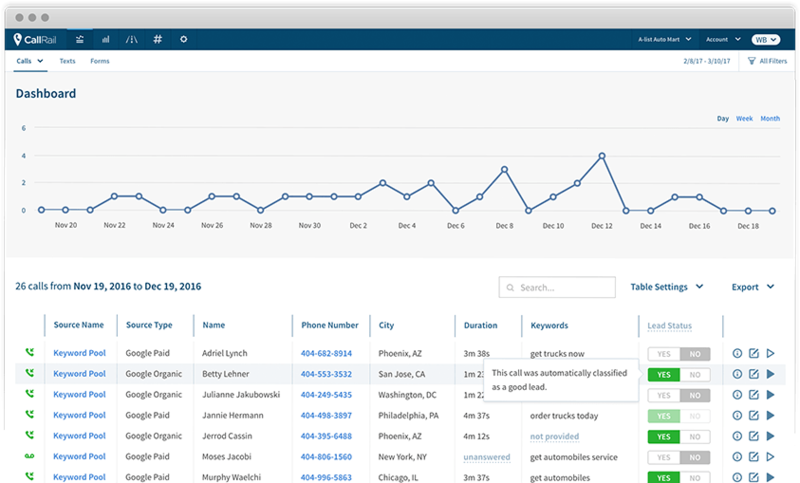 Call tracking is very important if you want to track how many calls come in each month from your website. There are a number of services you can use to set up call tracking but our favorite is CallRail. You can create one number for all website interactions and traffic. You can set up multiple phone numbers for different website interactions and traffic sources. Setting up multiple phone numbers is beneficial because you can then see which traffic source gets you the most phone calls and leads. The only issue with this is that it can be complicated to setup. For most law firms it’s easier to just setup one call tracking number that forwards to your main law office phone line. Setting up contact form tracking is actually very simple and enables you to have an email form on your website that makes it easy for people who don’t want to talk on the phone right away to contact your law firm quickly. 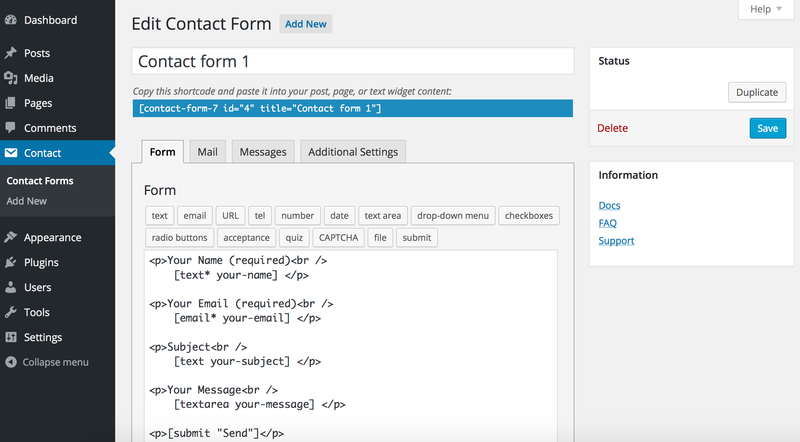 If you’re on WordPress we recommend using the Contact Form 7 plugin. After you have it setup use this guide to connect email form submissions in Google Analytics. However, here is a brief overview of how it works. It is important to track your keyword rankings to monitor how well your website is ranking in Google and to make sure there are no big random drops in rankings. 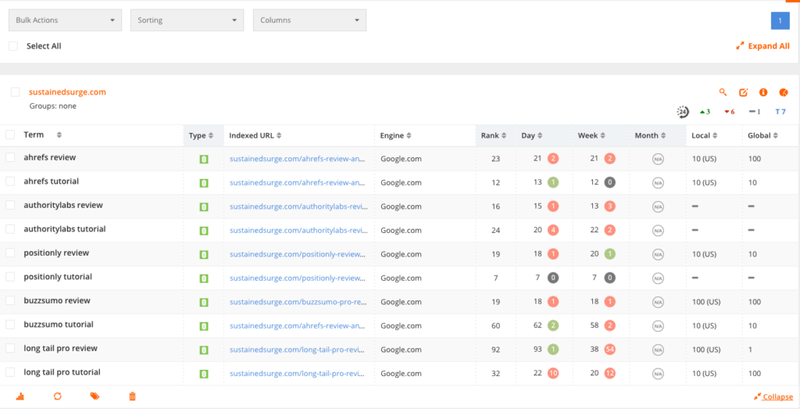 Below are two different rank trackers that you can use to track your keywords. Take a look at both of them and see which you like better. 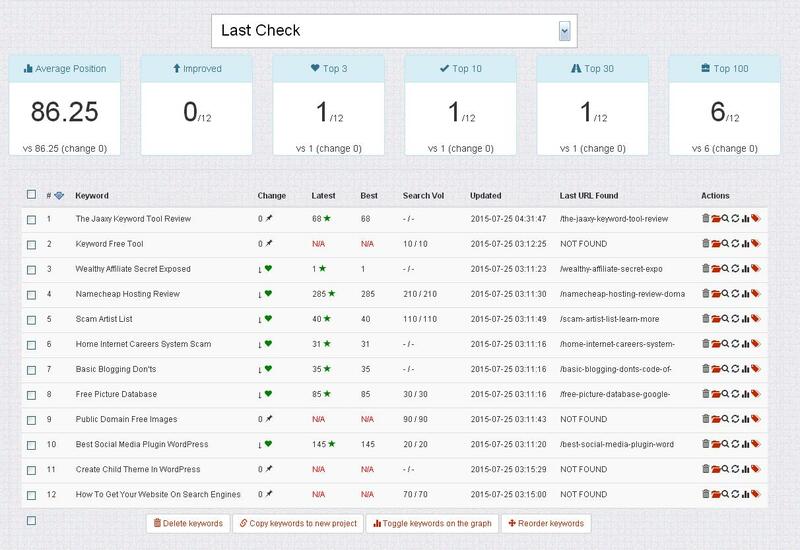 SerpLab is a free tracker that you can use when doing SEO for your law firm. You can upgrade to get an additional bot and it’s very cheap with lots of features. It’s our personal favorite tracker and very easy to setup and get running. ProRankTracker is a paid keyword tracker and is also very accurate. It’s definitely more expensive than SerpLab but it’s a little more polished off and you get a few more features. So there you have it, our ultimate 10,000+ word guide to law firm SEO. You finally made it to the end (did you really read through all of it?). We have covered what feels like just about everything from keyword research to site organization to backlinking strategies. 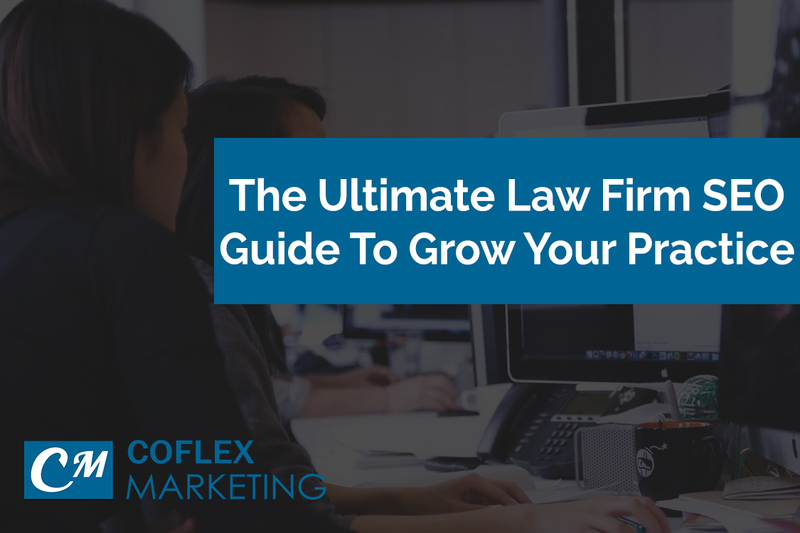 This guide is a great place to start and should set you up to achieve some great results for your law firm. However, this is not everything and there is so much more to SEO than what you have read above and we barely scratched the surface. SEO takes a long time to perfect and you always need to be testing what works because SEO is always changing. We do hope you take some action on all this information and use it to help improve your law firm website. If all of this information is too much for you to handle or you don’t have time to handle SEO for your law firm then we can help. Schedule a free phone consultation and we can talk about your law firm’s marketing and see if our agency can help you increase your website traffic and drive more phone calls / leads for you. Click here and fill out our consultation form and we’ll schedule a time to talk. Not getting enough new cases? Let’s talk about your law firm’s SEO strategy. Click the button to the right to schedule a free phone consultation with us. Thank you for taking the time to write this huge post. I work as a marketing manager at a small law firm and I learned a few good tips that I didn’t already know from this. I’ve read a lot of seo guides but this one by far is the best one. None of the other ones are nearly as detailed or long as this one. Thank you. I love it, there’s so much content and great tips. Is there anyway I could get this in a PDF? Thank you!! We’re glad you like it. We haven’t made this into a PDF yet but hopefully soon we’ll do that. We’ll let you know when we do. Massive amount of information that you guys published. Great work.